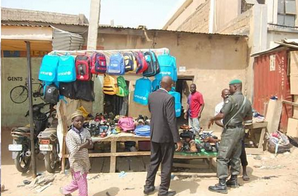 The Kano Public Complaint and Anti-Corruption Agency, on Tuesday recovered hundreds of customized, United Nations Children’s Fund (UNICEF) School bags and mosquito nets at the famous Wambai Market in the ancient city of Kano. 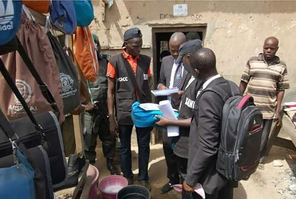 Speaking to reporters shortly after the anti-graft operatives raided shops where the bags were displayed for prospective buyers, the Head of Operation of the agency, CSP Suleiman Aliyu Gusau, said the agency has intensified investigation to unravel those behind the diversion of the materials. According to him “It was based on information that our personnel immediately swung into action by embarking on surveillance into the market where they were able to confiscate some of these diverted humanitarian items. One of the sellers of such items told this reporter that they mostly receive the supply from someone in Maiduguri, while he purchase the bags for N600 each and in-turn, sell it for N1,200 each.